Subscribe to Daylily E-News. It's FREE! Click on the Subscribe button to receive Daylily E-News, a free electronic newsletter for all who share an interest in daylilies, including members of the American Hemerocallis Society (AHS) and other horticultural organizations, educators, garden writers, news media, and others who love to garden. Daylily E-News will offer information, announcements, Press Releases, and the latest news about daylilies and AHS, especially updates that occur between issues of The Daylily Journal. The e-newsletter arrives as an email in the subscriber's mailbox. In each issue, there is an "Update Profile/Email Address" option where subscribers may choose to receive the e-newsletter as text-only as well as to indicate special areas of interest and make address changes. A "SafeUnsubscribe" option is also included in each issue for easy instant removal from our e-mail list. 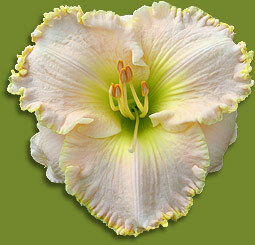 Daylily E-News will be issued by the AHS Publicity Committee about once quarterly or as needed. Please send your comments and questions to Jacob Braun, daylilyenews@daylilies.org. Advertisers - click HERE for information about your ads appearing in the E-News. © Copyright 2000, 2007, 2012, 2017 by the American Hemerocallis Society, Inc.